You are here: Home / Nelson Mandela Bay / How much crime is in your city? You are more likely to be murdered in Cape Town, Nelson Mandela Bay, eThekwini or Buffalo City metros than in Johannesburg, according to a new report from the South African Cities Network (SACN). The SACN, a network of cities that encourages knowledge exchange and best practice on urban development and city management, released its third annual State of Urban Safety in South Africa report which explains socioeconomic conditions leading to crime in eight metros, and the Msunduzi municipality in Pietermaritzburg. “What is surprising and striking is that Gauteng metros are usually associated with danger. On the murder score, these metros have never been above the national average. Tshwane, in particular, is significantly below the national average of 36 murders per 100 000 population,” said researcher Siphelele Ngobese. The report was developed using data from the police’s annual crime statistics and other sources, including Stats SA. Ngobese said the SAPS data was overlaid with other data sets looking at social and economic dynamics. Crime, she said, was high in cities because they are associated with opportunities. “Globally, cities account for about 80% of the growth value added to their respective economies. That is no different in South Africa,” she said. Ngobese said SACN’s member cities have shifted their understanding of safety from policing to being more safety conscious. “We do make a distinction between security and safety. You can do a lot to secure yourself. You can get burglar bars and cameras, but that doesn’t necessarily mean that you are safe,” she said. 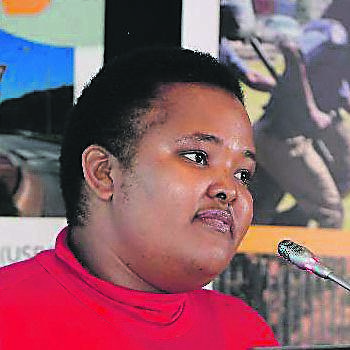 She said urban planners, economic and community development practitioners, and communities all had a role to play, and that the group members have been able, to some extent, to filter their thinking into their own cities. Ngobese said this year’s report mostly saw the continuation of past trends, except for slight declines in some crimes. However, our murder rates, she said, remain higher than most parts of the world, and the bulk of robberies continues to take place in the cities. “Although we’ve halved our murder rate since 1994, when it was around 69 per 100 000, it’s still significantly high. South Africa still has a murder rate by some arguments of a country that is at war: 35 to 36 per 100 000 is still shockingly high,” she said. Deputy Cooperative Governance and Traditional Affairs Minister Andries Nel said the report would provide evidence-based information for government. Urban safety was important because it goes to the core of the constitutional rights of citizens. “There is no way we will succeed in combating crime and creating urban spaces that are safe and secure without a governmental and societal approach,” he said. Murder: The city with the highest murder rate is Cape Town with 69 out of a 100 000 population, followed by Nelson Mandela Bay with 54, eThekwini with 46, Buffalo City with 43, Msunduzi with 40 and Mangaung with 39. Those with the lowest were Gauteng cities, with Tshwane with 17 out of 100 000, Johannesburg with 31 and Ekurhuleni with 32. Robbery: Cape Town had the highest robbery rate as well, with 484 incidents per 100 000 population, followed by Johannesburg with 435, Nelson Mandela Bay with 440, Buffalo City with 325 and eThekwini with 320. The lowest robbery rate was in Mangaung with 232 incidents, followed by Msunduzi with 253, Ekurhuleni with 296 and Tshwane with 310. Population density: Johannesburg had the highest with 2 696 people per km², Ekurhuleni with 1 609, Cape Town with 1 530, and eThekwini with 1 502. The least dense was angaung with 119 people per km². Family disruption: This is a category scored by whether households rent their home, have moved in the past five years, were headed by women and did not know whether the father was alive. It was found to be worst in Johannesburg at 26%, followed by Tshwane (24%), Ekurhuleni (23%), Cape Town (22%) and eThekwini and Buffalo City with 21%. Nelson Mandela Bay showed, at 19%, the least family instability. Income inequality: Johannesburg is the most unequal, with a Gini coefficient of 0.652 (where 0 represents total equality and 1 total inequality), followed by Ekurhuleni, Buffalo City, Msunduzi, Tshwane and eThekwini. Cape Town was reportedly the least unequal, with a Gini coefficient of 0.613. Service deprivation: The city with the highest percentage of people without piped water to their home, flush toilet or electricity was Buffalo City (27%). Mangaung (23%), Ekurhuleni (21%), Msunduzi (21%) and Johannesburg (18%) follow. The lowest percentage of service-deprived residents was found in Nelson Mandela Bay (9%), followed by Cape Town (12%). Informal housing: The highest percentage of residents living in informal housing was in Buffalo City (25%), Ekurhuleni (19%) and Johannesburg and Cape Town with 18%. The smallest percentages were found in Nelson Mandela Bay (7%) and Msunduzi (8%).
. High crime and fear often go hand in hand with low trust in police, and dissatisfaction with policing.
. Perceptions of crime often contradict objective evidence and carry more weight. It is important to engage continuously and partner with communities as empowered actors in safety promotion.
. Develop evidence-based municipal community safety strategies based on systematic data collection through safety audits and other methods. The approach should start with identified priority “hotspot” neighbourhoods and scale up to cover the entire city.
. Integrate gender strongly into the data collection and analysis that informs community safety plans, and consider the gendered nature of violence.
. Form alliances with civil society and other government sectors which can help with safety interventions or facilitate access to resources.
. Monitor and evaluate the implementation of violence and crime prevention programmes to inform city planning and budgeting.